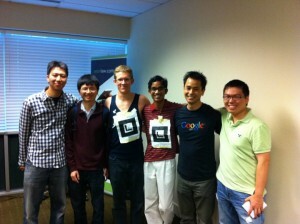 The mobile app hackathon was a fun event. I had so many great conversations that I almost didn’t have enough time to finish coding my project! Thanks to you Kristin and thinkspace for being wonderful hosts. I’m happy that you enjoyed the event! Thanks for contributing to it’s success. Oh, and I loved your app!